“Believe it or not, but our daughter (Gunjan) doesn’t laugh or, at least, smile at all. She won’t even breastfeed. Whenever I look at her, she always seems to be in so much pain and as her father, my eyes tear up. She doesn’t deserve to suffer like this.” – Binay Singh, Gunjan’s father. 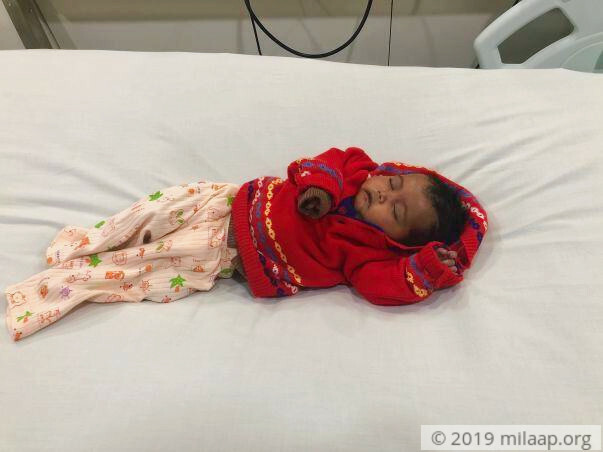 Apart from worrying every minute, 3-month-old Gunjan’s father, Binay, and his wife fear losing their first child and are trying their best to save her. Gunjan has a severe congenital heart disease and her heart is nearly half the size it needs to be. She is extremely critical and needs an immediate heart surgery but her parents are finding it very difficult to save her. In just 3 months of being alive, Gunjan is already facing a risk of heart failure. A persistent fever forced Binay and his wife, Guddi, to do a 2D Echo test on Gunjan. They were shocked to learn that the reason their baby didn’t stop crying was because she was born with heart defects. Gunjan’s heart is almost half the size it’s supposed to be and the oxygen level in her body is dangerously low. Gunjan is suffering from Tricuspid Atresia which is a severe congenital heart disease. This has caused her oxygen levels to suffer and caused her limbs to turn bluish in color. Her body is unable to get the oxygen it needs. “She is breathing very heavily now. She cries endlessly. She always seems to be in so much pain and I can’t bear it. I feel that if she had to suffer so much, she should have never been born. She weighs only 4 kilos, which is less for a 3-month-old baby. She can’t even speak and as a parent, words cannot describe what I’m going through. I don’t really know how to save her. The surgery needs to happen within the next two weeks.” – Binay, Gunjan’s father. 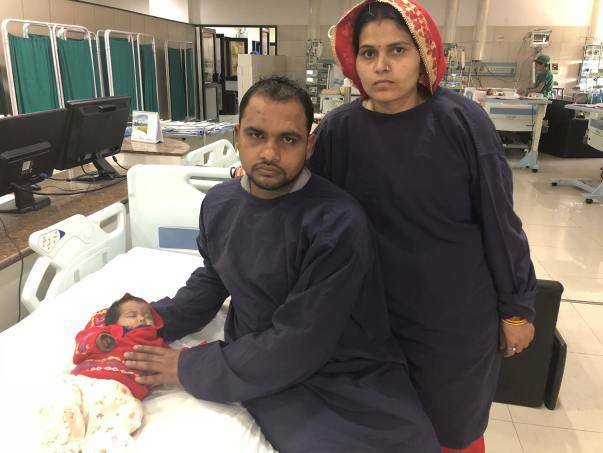 Gunjan needs a heart surgery immediately and now, Binay is running out of time to help his daughter. Binay and Guddi were terrified when they learnt that Gunjan would need 3 surgeries in total, to have a somewhat, normal childhood. After the first, her second surgery would be 2 years later and the third would be when she’s around 5 years old. All of this is possible only if she undergoes her first surgery. They will still have to worry about the two surgeries in the future. Gunjan is finding it harder to breathe and she needs a life-saving cardiac surgery within the next few weeks. Her parents are trying everything they can but now, they don’t have any resources left to save here. 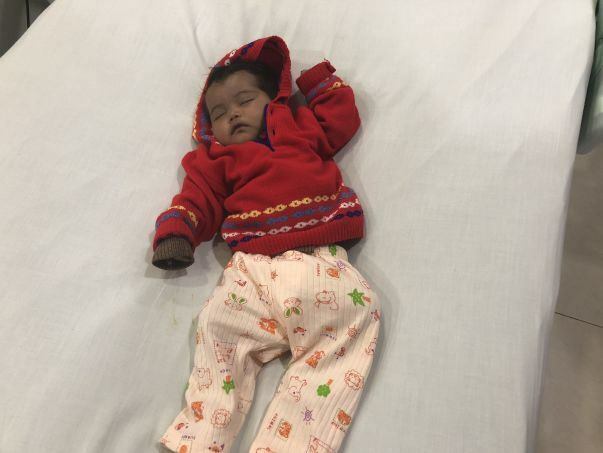 With little time left, Binay and Guddi are in dire need of help to save their 3-month-old baby. Binay works at a small hardware store and is the only earner in the house. He earns so little that it’s impossible to save anything. He has already asked his colleagues for help and has spent over Rs 20,000 on the treatments Gunjan needed until now. 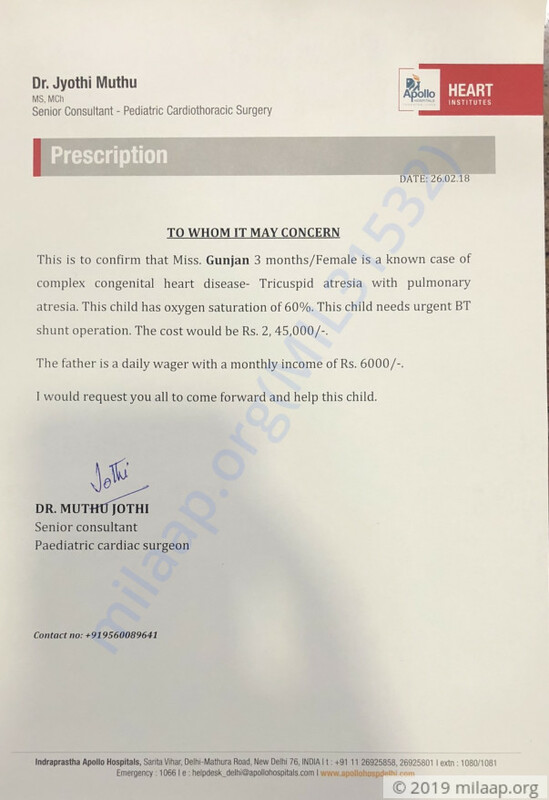 The total cost of the cardiac surgery is approximately Rs 2.45 lakhs and Binay and Guddi, simply, cannot afford this in such short notice and have no other means except crowdfunding. 3-month-old Gunajn’s only hope for survival is to get the heart surgery as soon as possible. She is extremely critical, unable to breathe normally and her parents are running out of time to arrange the funds. Your support and contribution will save Gunjan’s life. Thank you for the wonderful support that you have shown towards Gunjan. 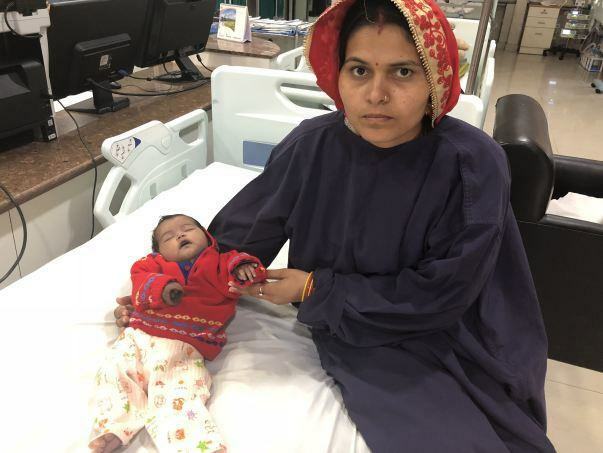 Gunjan successfully underwent the surgery and is doing well. Based on her health and recovery she has been discharged from the hospital on Sunday (18th March). Thank you all once again for the support. Your support helped her to recover faster. Get well soon May God bless you.